We here at XSplit understand the importance of listening to feedback of not just our users but the community as a whole. This is why we've always been proactive in reaching out to people on social media as well as supporting events and charities on a consistent basis. Due to time differences and many other things, we know we still have a long way to go in ensuring everyone is being attended and engaged, which is why we decided to look for capable community managers that can help us out. We're glad we did that, because we found a couple of brilliant folks ready to rock the boat! Interestingly both Sllayt3r and GamrInsanity have first names of Peter but they're known more by their respective monikers. 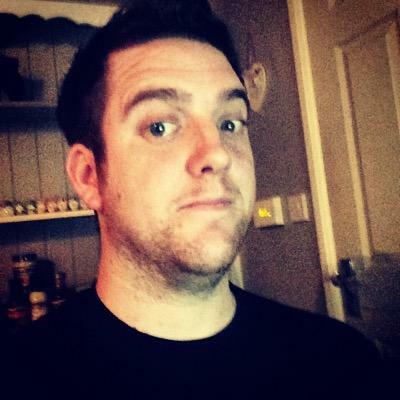 Peter Slater is our new UK community manager and will be in charge with engaging the UK community as a whole. He is actively involved in the indie gaming community scene, specifically #indiedevhour. Aside from the indie scene, Pete is also well-versed with technology as a whole and helping people in general. All of this makes him an ideal choice for us to man the position. You can tweet him anything over at his personal account @Sllayt3r but he will also be helping out on the XSplit Twitter account (response will come with his initials "Sllay"). Peter Palmisano on the other hand will be in charge of handling the other side as our US community manager. He is an active gamer/livestreamer and runs a gaming news website called Fanboyfeed which allows him to try out new games and communicate with game developers, companies, etc. Something that we can definitely tap on. His Twitter account is @GamrInsanity and like Slayter, he will be also helping out manage the XSplit Twitter (response will come with his initials "Gamr"). Having these two awesome person will allow us to reach and more importantly engage a wider audience that we're unable to reach otherwise due to timezone differences. Time to know more about them! Slayter: I started off gaming on the Sega Master system gradually progressing through the Playstation consoles and ending up on the Xbox One. Always had a big interest in technology and love buying the new gadgets if I can. I love helping people and have set out to help people in whichever community I’ve entered into. I recently started helping out with the big indie dev community called #IndieDevHour which has been a huge success. Gamrsanity: I've been a gamer since I could first hold a controller. Gaming has always been the one constant in my life. Immersing myself in a game allows me to forget about what's going on around me while I enjoy a wonderful story or mess around with my friends. I first started making gaming content in 2009 with the Blackmagic Intensity Pro, it was such an interesting time to make gaming videos. YouTube was starting to blow up for the gaming community and it just felt like it was the place to showcase my love for gaming with the rest of the world. Fast forward to 2015 and I've had the pleasure of working with multiple organizations such as Elgato Gaming, Professional Call of Duty Team "Team Kaliber", as well as creating my own gaming news blog "FanBoyFeed" as I continued the YouTube dream. Streaming has been a constant for me since the days of Justin.tv (JTV), and I can't wait for all the new adventures that will unfold with XSplit. Slayter: I have always dreamt about becoming a community manager within the gaming industry, it’s been something I’ve focused a lot of my time on, reading about it and learning the role. I’ve built up communities in the past and I’m running one now, so when XSplit contacted me I snapped at the chance and 4 weeks down the line I’m loving it. It’s everything I dreamt it would be, and more. Gamrsanity: I've been using the XSplit Broadcaster program since the early Beta days and it's been the tool that's help me create vlogs, lets plays and stream on a nightly basis. Becoming part of the XSplit Team is both exciting and a privilege to share the knowledge I've gained over the years. Working with the XSplit team to help the community with daily support issues while helping shape the future of XSplit is an amazing feeling. What do you think can you bring to the able for XSplit as a community manager? Slayter: I come on board with experience of building communities, especially within the gaming industry. I aim to use that experience to make XSplit more wider known in the UK scene. We have been talking about a few things we can use to get things going, but that’s for another day. Gamrsanity: As the US Community Manager for XSplit, I plan to make the XSplit family bigger than ever before! This is a bold statement that anyone can make but I have a simple plan to make it happen. I plan to engage our users using social media, stopping by streams to showcase our appreciation that they're powered by XSplit, give support to those who are having trouble and finally by looking to the future to see how we can make our product the most powerful tool in a creators arsenal. My mission is to remain true to the idea that simplicity empowers creativity as XSplit continues to evolve.